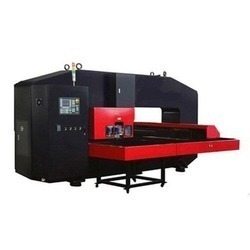 Our organization is well known in the industry for catering a distinguished segment of CNC Busbar Punching Machine. These products are made from high quality components. Electron Gyration Research And Development India Pvt. Ltd.
We Electron Gyration Research And Development India Pvt. Ltd. from 2012 are a popular organization in the industry for manufacturing a wide variety of Embedded Controller, Embedded Weather Station, CNC Punching Machine, Data Logger, Automation Panel, Free Cooling Systems, and many more. Provided products are designed by using supreme grade components. We are offering these products in various specifications to choose from. Offered products are highly appreciated by the customers for their perfect quality, high performance, low maintenance, strong construction and longer service life. Additionally, these products are offered to the clients at very affordable rates.